Central Recovery Press, 9781937612856, 200pp. 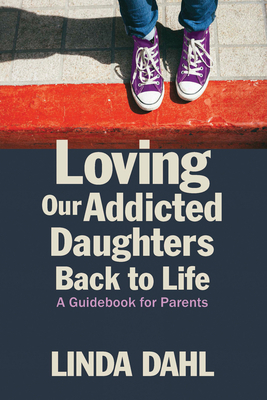 The latest information on gender-specific treatment of addiction and recovery can be found in this go-to manual for parents seeking direction to help their daughters. Step-by-step guidelines present tools for recognizing substance abuse in young women; communicating with them and their care providers; dealing with relapse and long-term recovery; and managing parental shame, guilt, fear, anger, and loving detachment. Linda Dahl is the author of six books, including Morning Glory (2012), chosen as a New York Times Notable Book of the Year. A mother of two, she currently resides in New York. Linda Dahl is the author of a New York Times Notable Book of the Year and recipient of the Best Creative Writing for 2010 Award by Writers in the Sky. During her thirty-year writing career she has published six books and has been featured on numerous radio and print interviews, including NPR programs, the BBC, Canadian, German, French and Scandinavian broadcasts, Internet interviews, and blog tours, as well as dozens of book talks, signings, and workshops around the country at libraries, bookstores, arts groups, and college campuses. She writes about challenging personalities and difficult issues, reflecting her interests in the arts, addiction, and recovery.